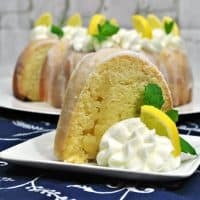 Complete with a zesty lemon glaze, this homemade moist lemon bundt cake recipe is the perfect combination of sweet and tangy. I can't get enough lemon flavor. Lemonade, lemon hand pies, lemon bars, and even lemon jello shots. I just love me some lemon. 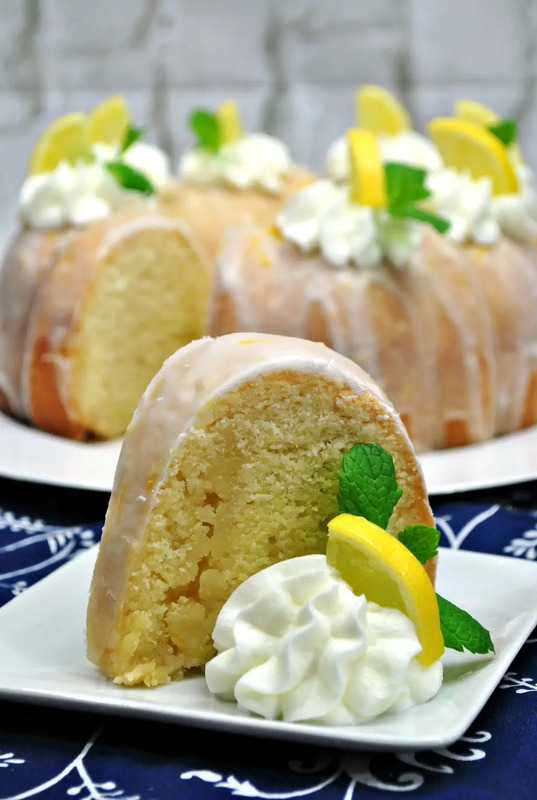 Today I have a rich and moist lemon bundt cake recipe to share with you. If lemon just ain't your thing, no worries. Try this strawberry yogurt pound cake instead. This moist lemon cake is rich in flavor, yet has an incredible tang that I love. The lemony glaze poured over the top is the finishing touch that takes this cake over the top. When it comes to serving, I like to enjoy this lemon cake with fresh berries on the side. The tart flavor of the berries bring out more sweetness in the cake itself. Of course, if you wanted to serve your cake with ice cream or a berry sorbet, that would be amazing as well. Or just a dollop of whipped cream. Whatever you serve it with, it will be incredible. If you like this recipe, you are going to love our lemon layer cake recipe as well. Preheat oven to 325 degrees. Grease a 10" bundt pan and set aside. In a large bowl, cream butter & sugar until light and fluffy. Add the eggs, one at a time, beating each egg directly after it was added. Sift flour, baking soda, and salt together in a second bowl. Stir flour mixture into the egg mixture a few spoonfuls at a time, alternating with buttermilk. Pour batter into greased bundt pan. Bake on middle rack at 325 degrees for approximately 1 hour and 5 minutes. Cake is done when it cake pulls away from the sides of the pan and a toothpick comes out clean. When cake is done, remove from oven and allow to cool. Do not remove from bundt pan until completely cooled. Begin preparing glaze immediately after removing the cake from the oven. Add glaze ingredients to a small pan, heating over medium-low heat. Stir often until butter is melted and sugar is dissolved. 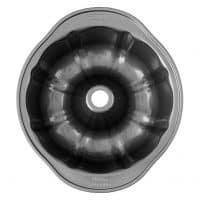 Once cake has cooled, invert cake onto a cake stand. Poke holes in the top of the cake, and then pour the glaze slowly and evenly over the top of the cake. Serve with whipped cream, fresh berries, or ice cream, if desired. Store in airtight container in refrigerator. Wrap a slice in a moist paper towel and microwave for 15-30 seconds to help bring back that moist and freshly baked taste. This recipe is linked up over at Meal Plan Monday. 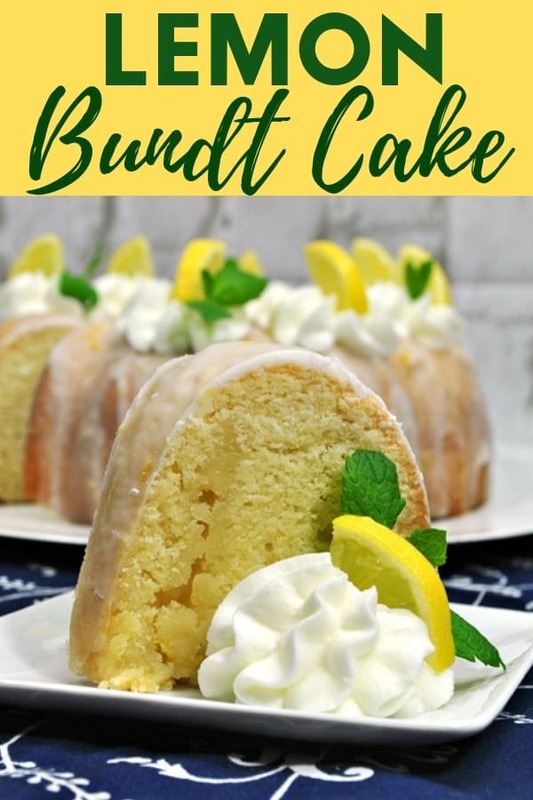 I love lemon cake and this lemon bundt cake looks fabulous. Found you at Foodie Friday. One of the best, most flavorful cakes I have ever made. Perfection.